Several years ago I put together a gift for Josh for our anniversary – gifts on the hour. 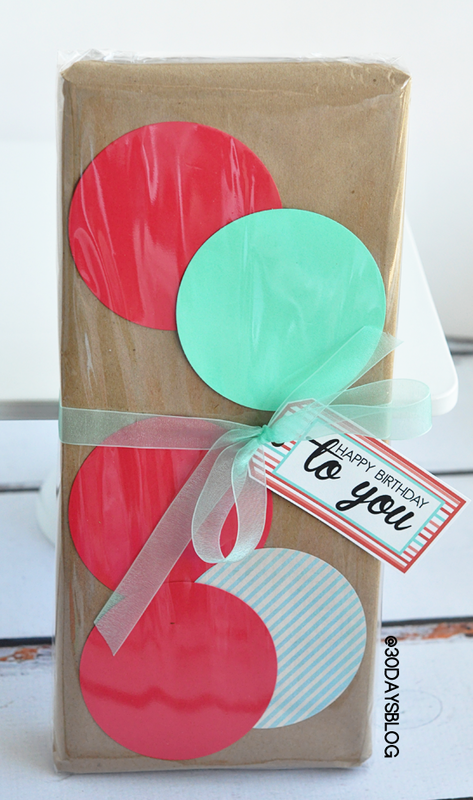 I’ve heard from lots of people that they loved the idea and used it to celebrate birthdays as well. I thought it was time for an accompanying printable. 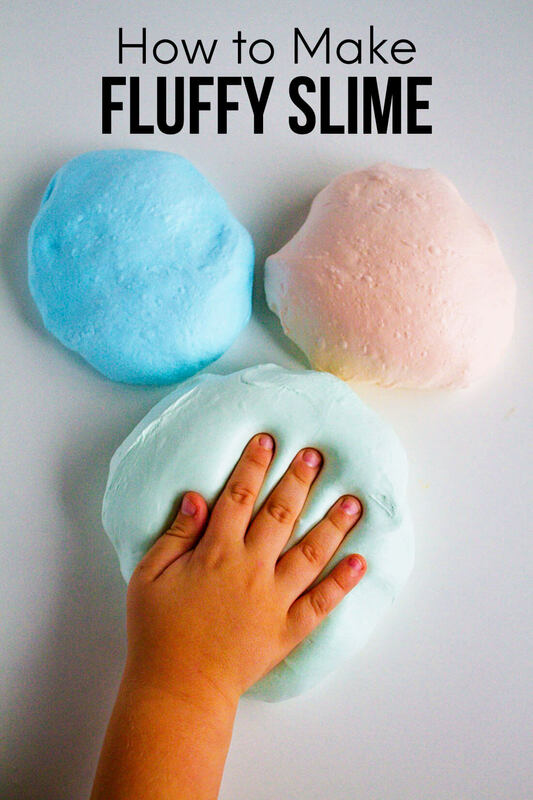 This idea is simple but so much fun! 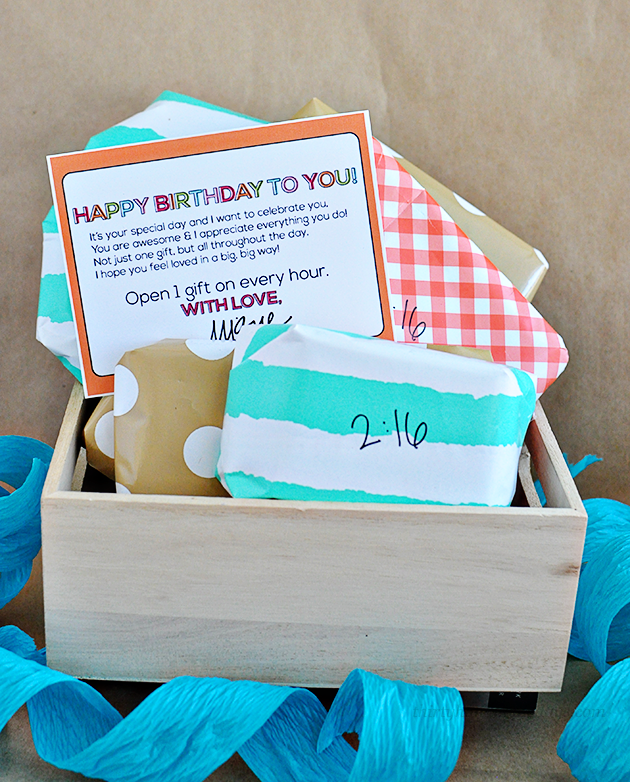 Gather presents to celebrate for every hour. In the past I’ve done an assortment of gifts- things like sunflower seeds and playing cards to a more expensive watch. You can spend as much or as little as you want. Print out the card below, gather the presents and wrap them. Then use a sharpie (or create tags) to mark the time on them. 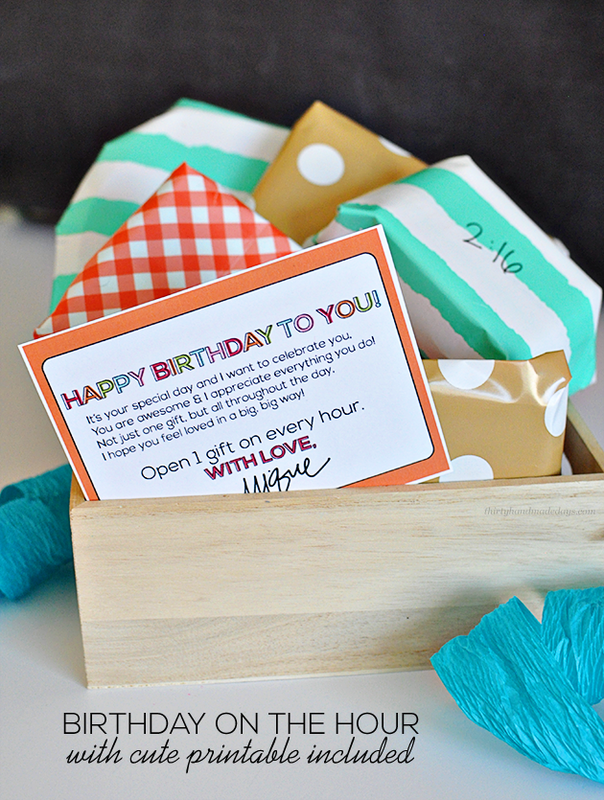 So if you’re celebrating your husband’s 40th birthday, you’d have him open up a present every hour on the 40- 8:40, 9:40, 10:40. Obviously this only works up to 59 yrs (because there are only 60 mins). I sent Josh to work with 8 presents for every 8th of the hour for our 8th anniversary. Read more about his anniversary on the hour here. 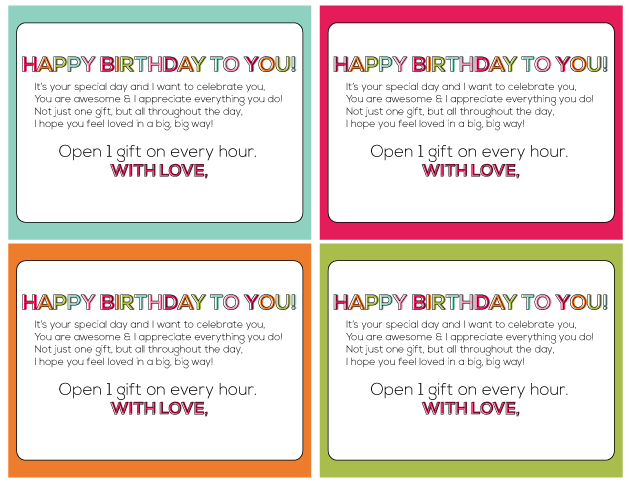 Download a sheet of birthday on the hour printables. For personal use only. Thanks! 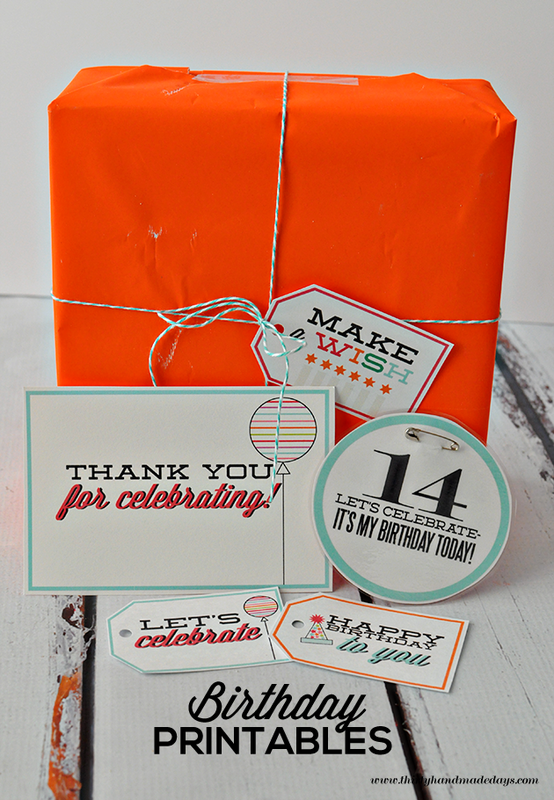 And today I’m helping Amber from Crazy Little Projects celebrate her Big Birthday Bash. 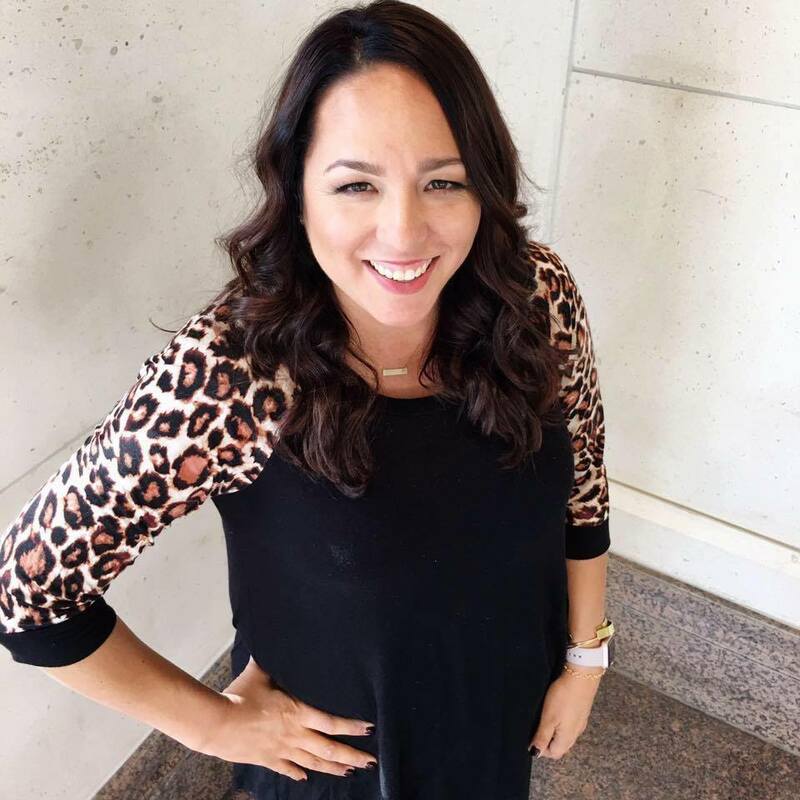 Check out what she has going on all week! Hello mates, its fantastic article about teachingand entirely defined, keep it up all the time. Nice postings by you askmywish.com also provides online gift ideas. Such a great idea! I love how you celebrate the little things, making life a lot more enjoyable. Josh must be a very lucky guy! What a terrific idea to make her feel extremely special! Good for you!!! Thanks so much Courtney! I had fun putting it together. What a great idea and way to make anyone feel really special. Love this, anyone would love such a fun gift! Pinning! website with us so I came to take a look. I’m definitely enjoyijng the information. So you know when my birthday is right??? This is an awesome idea. I’m totally going to use it this year for my kids!!! Such a fun idea, Mique!!! Love this idea! 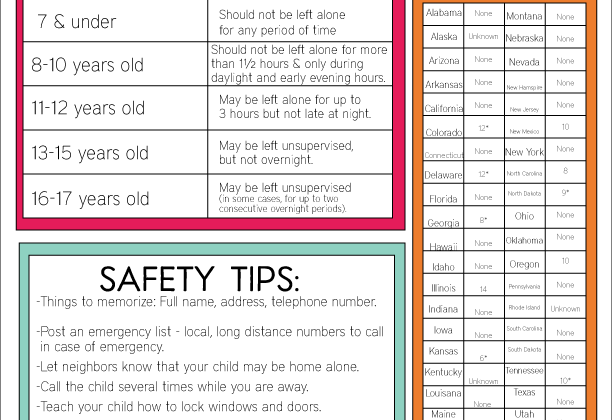 Adorable printable’s!!! So funny…today is my oldest daughter’s 11th birthday! Maybe I’ll do this for her 12th or (sigh….) 13th birthday. I did this this past Valentine’s day for my sweet hubby. And he was smitten. :) Thanks for sharing your fantastic ideas!